The 2017 Aviation Heritage awards, which attracted over 30 nominations, were presented at the 50th anniversary meeting by BAPC/AHUK President Tony Edwards. 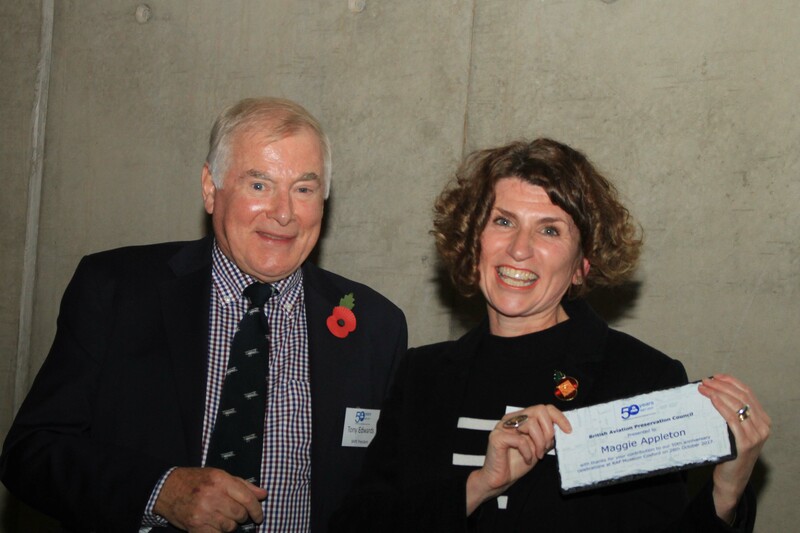 The individual award was won by John Sharpe, Chairman of the Boscombe Down Aviation Collection for his leadership in setting up the BDAC and re-establishing it at Old Sarum when they had to move from their original home at Boscombe Down. The group award was won by The Duxford Aviation Society for their educational work with young people and especially with overseas students. 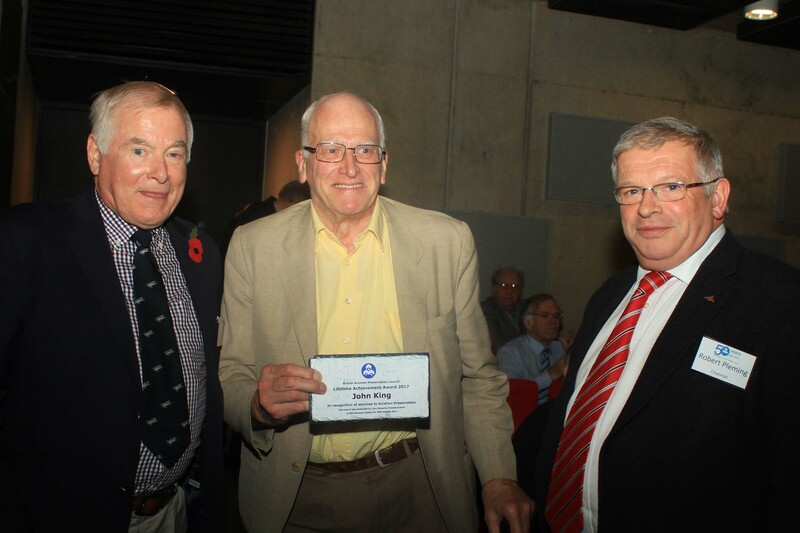 The first ever Lifetime Achievement Award was presented to a very surprised John Kenyon at the end of his presentation on the history of the BAPC. for their dedication to the advancement of aviation heritage and preservation over many years.